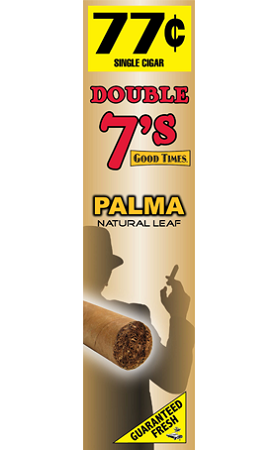 Double 7's Palma by Good Times. Natural Leaf Cigar. 30 Cigars, 2 Cigars in each pouch to guarantee freshness.